Veso â€“ modern & powerful multipurpose portfolio WordPress theme for all sort of projects. Stand out. Make a statement without saying a word. A visually appealing and unique theme. With this release we aim at all sort of creative businesses that need to present their works in an interesting way. 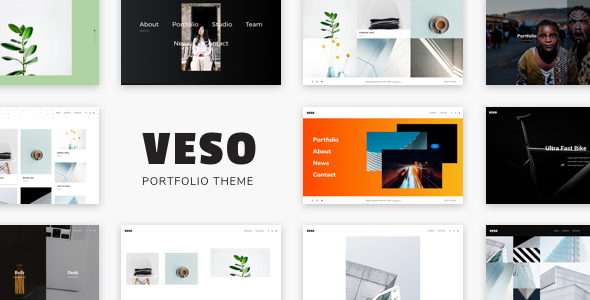 Veso is a a multipurpose portfolio theme. Unleash you style. Themes comes with beautiful typography, subtle transitions, interesting use of navigation. Veso is a complete package to mark your online presence. Start creating now. 12 one-click demos included.